"For more than two decades, Spokane teacher and historian Jack Nisbet has been telling the stories of the Intermountain West. Now he’s turning his careful attention to Dr. Carrie Leiberg and her husband, John Leiberg, who arrived in the Idaho Panhandle in 1885 and homesteaded on the southern tip of Lake Pend Oreille." 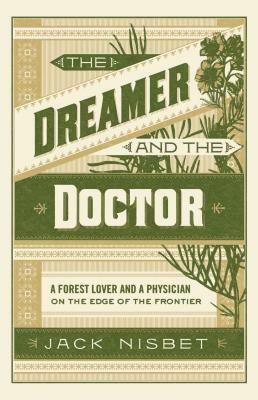 "Early on in The Dreamer and the Doctor, the reader emerges from a gorgeous description of North Idaho as Swedish prospector John Leiberg must have found it…In the end, this is the story of two flawed, extraordinary people who contributed to our understanding of the Northwest, both of their time but remarkably forward-thinking."